Stakenborg Fine Art launches its 2011-12 winter season with a solo exhibition by an artist both mysterious and multifaceted: Nikitas Kavoukles. 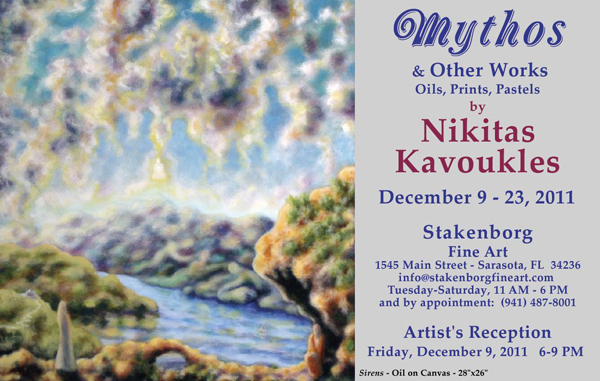 Stakenborg Fine Art launches its 2011-12 winter season with a solo exhibition by an artist both mysterious and multifaceted: Nikitas Kavoukles. Born in Greece, Mr. Kavoukles was educated in New York City and trained with traditional printmakers and old-world artisans. We’ll be featuring his velvety, richly colored pigment prints of reflections in water from his series Beneath the Surface. We’ll also be showing his new floral monotypes, some augmented with pastels, and residual prints—a new method created by the artist. Finally, we’ll be offering oils from the Mythos series, evocative landscapes peopled by light-filled beings. These remarkable paintings emerge from Mr. Kavoukles’s twofold process, which entails an alchemical attunement to the unconscious—the true Surrealism; and the slow application of layers of translucent color, an Old Masters technique. 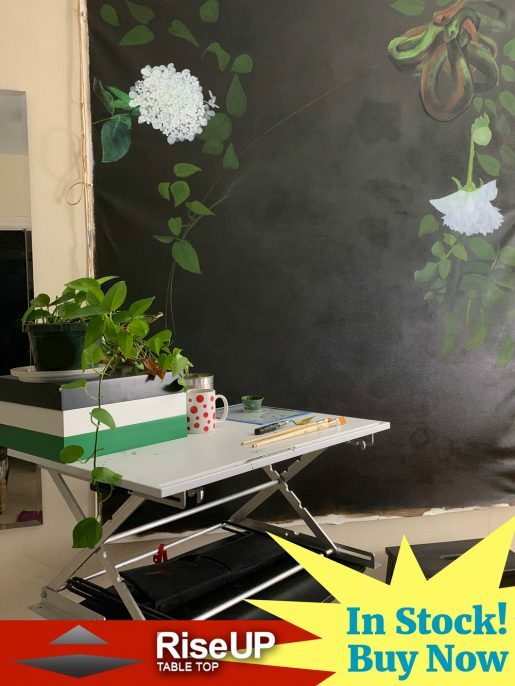 Intensely private about this work, the artist has not shown these paintings before, and we are delighted to be sharing them with you for the first time. The show will begin with an opening reception on Friday, December 9, 2011, and run through January 6, 2012.